A501 series A500 series Compatible Acer tablet models. specs: 7.4V 3260mAh. Specs: 7.4V 3260mAh. A501 series A500 series 934TA001F, G34TA002F, BT00207002B26, BT.00207.001, BT00207001, BT00207002C22, BT.00203.002, BT00203002, BT.00203.008, BT00203008, BAT1010. Compatible Acer tablet models. This item has been fully tested and it is fully functional. Includes unit only. Compatible With the following Acer Iconia Tablets: Acer Iconia A501 Models: A501-10S16R, A501-10S16c, A501-10S16u, A501-10S16w, A501-10S32u. Compatible With the following Acer Iconia Tablets: Acer Iconia A500 Models: A500-10S16U, A500-10S16C, A500-10S16M, A500-10S16A, A500-10S16w, A500-10S16S, A500-10S32U, A500-10S32H, A500-10S32M, A500-10S32A, A500-10S32u, A500-10S64A, A500-10S08u, A500-10S08c. You’ll need to choose that option at checkout. We have done our best to ensure the quality of your product. Condition: New. Acer iconia A500 10 inch tablet OEM Replacement battery. Condition is Used. Shipped with USPS First Class Package. A501 series A500 series Compatible Acer tablet models. Simplo P/N: G34TA002F. Other Compatible Part Numbers: BAT1010, BT.00203.002, BT.00203.008, BT.00207.001, BT00203002, BT00203008, BT00207001, G34TA002F. Acer Iconia A501 Series: A501-10S16R, A501-10S16c, A501-10S16u, A501-10S16w, A501-10S32U. 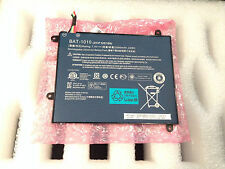 BAT1010 Genuine Acer Iconia Tab A500 Tablet PC Battery 7.4V 24Wh - BT-00203.002 Alt. Part Numbers: BT.00203.002, BT00203002, BT.00203.008, BT00203008, BT.00207.001, BT00207001, BAT1010, BAT-1010. Acer Iconia Tab A500 Acer Iconia Tab A500-10s08u. 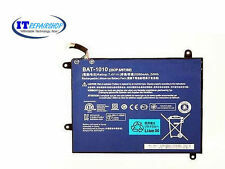 For Acer Iconia Tablet A501 Series Battery. Battery Type: Li-ion. Battery Volt: 7.4V. Battery Capacity: 3260mAh 24Wh. Battery Color: Black. Your support and undering are very important for us. Rest of the world. Acer A500 OEM Battery, good condition and work great. Compatible Product Line: Iconia Tab A500. condition: New. Original battery BAT1010 2ICP5/67/90 3260mAh, 7.4v for Acer A500-10S16w 10.1"
It would be very much appreciated. in all forms of correspondence. BAT1010 BAT-1010 BT.00203.002 BT00203002 BT.00203.008 BT00203008 BT.00207.001 BT00207001 2ICP5/67/89. Acer Iconia Tab A500 Tablet PC. Acer Iconia A500 10.1" tablet in excellent condition! There are no scratches, screen or back. The screen has always had the screen cover. The tablet has always been housed in the ACER case, which is also in good condition. Length: 1.8m (approx. Male end plug to Male end plug DC extension power cord / cable. We can custom-made any DC extension power cord/cable (Various connector tip and cable length). ). 1pc Extension DC Power Cord.